Pakistan president's website hacking case adjourned ! A court here has adjourned the case of a man who hacked into the Pakistan president's website and uploaded material defaming Asif Ali Zardari. Additional Sessions Judge Tanveer Meer Wednesday adjourned the cyber crime case, reported the Daily Times. 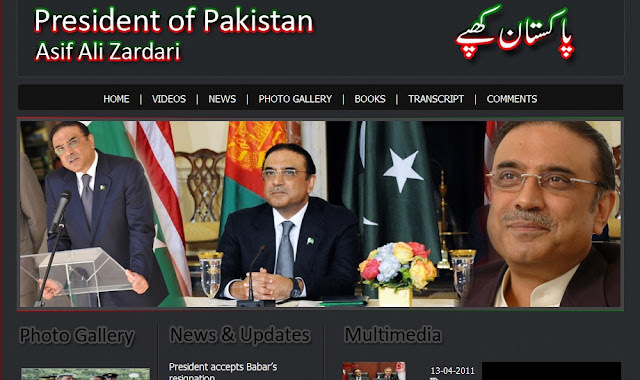 According to Federal Investigation Agency (FIA) enquiry, the hacker, Shahbaz Khan, had the username ADIL/Th3-penetrator and defaced the website www.president-of-pakistan.com and uploaded material defaming Zardari and the country. Khan was arrested and he told investigators that the president's website was hacked by some international hackers. He claimed he had added the following lines: "THIS SITE GOT HACKED BY ADIL WHERE IS YOUR SECURITY? HUH DON'T TELL ME TO STOP!" THANKS 2= FBI, MASTERMIND, SALMAN, EJA2SALAM PK, CODE5, SHER, SAIF"